Summary: Here are top 10 best video players for Mac that are easy to use or that come with some advanced features. Check them to find your favorite Mac players. There’s no shortage of good video players on Mac nowadays but it can be a bit tricky to find one that’s absolutely perfect for you. Are you looking for something straightforward and easy to use or a more complex player with lots of extra features but a higher learning curve? Or maybe you want a little bit of both. Whichever the case may be, we’re certain the list below will help you find the perfect video player for Mac that will satisfy all your needs. 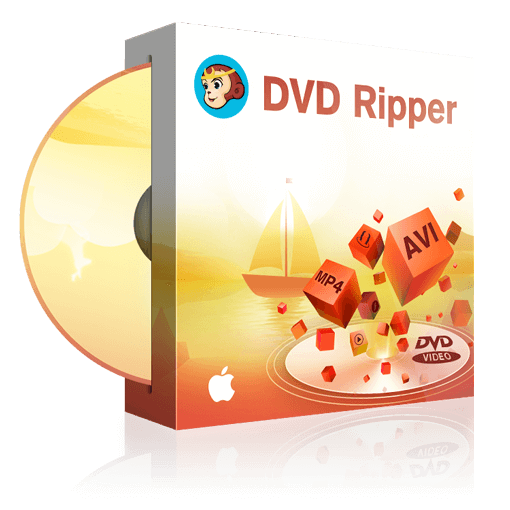 Our very first pick is DVDFab Player 5 for Mac, a top-tier Mac multimedia player that offers a host of very interesting features. One of the most important aspects to note about Player 5 for Mac is that it supports all the most popular formats out there so you never have to worry about it not being able to play certain types of videos. And yes, that includes 4K videos and even 4K UHD Blu-rays. Speaking of which, this fantastic video player for Mac and Windows comes with navigation menu support for all manner of DVDs, Blu-rays, and 4K UHD Blu-ray discs, as well as two distinct playback modes – PC and TV. Another innovative feature that needs mentioning is DVDFab Player 5’s ability to upscale regular 2D videos and essentially turn them into 3D ones. Of course, the player also supports traditional 3D content as well. In addition, the player is great at helping you sort and organize playlists and makes it easy for you to find certain scenes throughout a video thanks to a special Preview feature, which shows thumbnails and adjustable time intervals. Aside from all of that, the player also comes with a clean and intuitive interface, support for HDR10 and Hi-Res audio, plenty of customization options, and so much more. VLC needs very little introduction because it’s one of the best video players for Mac around and has been for a number of years now. The player can handle pretty much any type of video you throw at it thanks to its built-in codecs pack that constantly updates to support all the latest formats. Thanks to the fact that it’s a free and open-source program, you can always find plenty of interesting skins and themes for the player to make it look a bit more unique. Another great video player for Mac that’s very similar to VLC but might be a better choice for some because it was designed exclusively for MacOS. You don’t have to worry about compatibility with this one as it supports most of the popular formats and offers a smooth playback experience regardless of what video you’re playing. The UI is fairly straightforward and blends in well with the overall design of MacOS. 5K Player is one of the most interesting video players for Mac thanks to its ability to stream content via AirPlay. Another special feature comes in the form of a built-in YouTube downloader that allows you to easily grab videos from the website without the need to use third-party software. And as you might have already guessed, this player specializes in running 5K videos and is one of the things it does best. Ok, so QuickTime Player might not be the absolute best video player for Mac but it is better than most people give it credit for. The player can handle a fair number of formats and requires very few resources to run. Probably the biggest selling point of QuickTime is that it is available by default with any version of MacOS so you can rely on it at any time, which comes in handy if you have unreliable internet and find it difficult to download a different player. Not necessarily the best choice if you’re looking to play a lot of modern formats like 4K but a solid choice for those who own older Macs and are only interested in HD video playback. Much like some of the other entries on this list, MPlayerX was designed specifically for MacOS and offers support for certain Apple-centric features and devices, such as the Apple Remote for example. Plex isn’t your usual run-of-the-mill video player for Mac. The software’s main purpose is to be your go-to multimedia platform from where you can play and manage all your movies, TV show, music, photo library, and more. Plex also allows you to connect all your Apple devices and stream content between them or simply share various types of files. Granted, some of the best features are only available to Premium users so you’ll need to spend a bit of cash if you want to make the most out of this software. DivX is one of those players that has been around for ages and kept getting better and better as more features were added over the years. Nowadays, DivX is not only capable of support most types of formats, including 4K, but also offers very solid online streaming capabilities. DivX also includes a couple of features that a fairly unusual for a player, such as the ability to convert videos and a built-in burn tool that lets you create copies of your discs. If you’re looking for a video player for Mac that offers cloud services, RealPlayer is one of the best choices currently available. The player also comes with great support for all the most popular formats, some basic editing tools, and even a built-in file converter. The only problem with RealPlayer is that the software can be very resource-intensive so we can’t really recommend it if you’re using an older system or want to play videos while also running other applications at the same time. MPV is one of the most recent video players for Mac on this list so it’s possible you’ve never heard about it before. That said, this player is quickly gaining popularity among those looking for a good alternative to VLC. The two players are quite similar in terms of their capabilities but MPV features a more streamlined UI design that makes everything a bit easier to find. At the end of the day, though, whether you use VLC or MPV is mostly a matter of personal taste and how much you enjoy one user interface over the other. 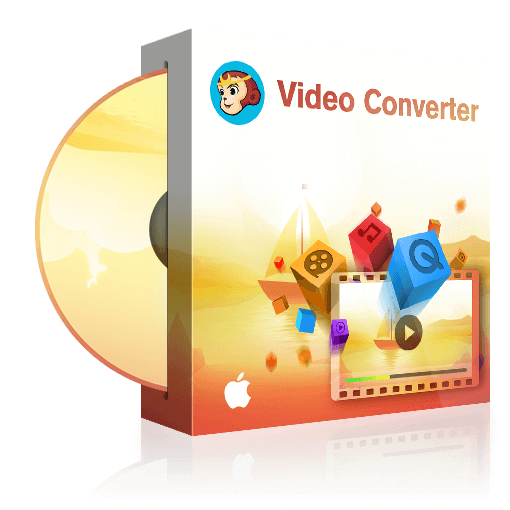 Finding the best video player for Mac is not always an easy task because it all depends on your specific needs. You can always go for something very basic like QuickTime if you don’t need any special features or opt for a modern option like DVDFab Player 5 for Mac, which offers a few features that are truly unique. The player may not be as well-known just yet as some of the others on our list but it’s quickly gaining a lot of popularity and is guaranteed to become your media player of choice once you try it out. This article lists the best video players for Mac, but if you also have a Windows computer, please check top video player for windows. Drama movies may one of the movie genres you love. Here we have made a list of top 5 best drama movies on YouTube. Go to check them and find the tool to download them. How to Convert GIFs to Videos? In this article, we shows you several professional GIF to video converters and show you how to convert GIFs to videos online, on your computers and on your smartphones. A streaming video recorder lets you record the streaming videos on YouTube, Netflix, Hulu and more. Here are the top 10 best streaming video recorders that can be used on your Windows, Mac, Android and iOS.